iHeartMedia Is Bankrupt. Is Radio Next? On Thursday, iHeartMedia, the mass media/largest radio conglomerate in America, filed for Chapter 11 bankruptcy—not great news for the 850+ stations it operates. So who killed the radio star? A lethal cocktail of humongous debt and lack of advertising dollars is to blame. As part of their bankruptcy filing, iHeartMedia has agreed to restructure a $10 billion debt—half of what they owe. A large chunk of that number stems back to 2008, when iHeartMedia acquired the billboard company Clear Channel Outdoor. That’s, of course, not all—much of the ad money that has supported radio over its century-long existence has moved over to streaming music services like Pandora and Spotify. But does mean all of radio is next, and it’ll soon disappear? Probably not. At least, not yet. 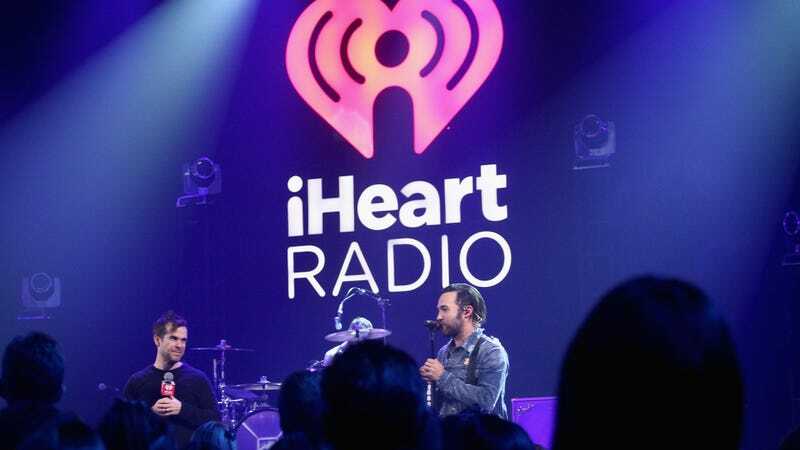 iHeartMedia hasn’t said anything about shuttering its radio stations following their bankruptcy filing, so we can assume they’ll stay...for now. iHeartRadio, a division of iHeartMedia, just held their fifth annual awards show, so they’re obviously not worried about spending dough. But if you’re a concerned, loyal, Top 40 radio listener, maybe give them a call and let them know you’re a valuable, ad-listening supporter—and you plan to stay one until the end.